These preschool crafts for the letter F are perfect as supplements to any Ff unit lesson plan. These craft ideas will bring a refreshing change to your classroom. Your students will have a blast learning the letter Ff and so will you! The steps to this and the following crafts will work easier if you have a prefinished model available for students to reference. Start this craft off by having your students paint their Popsicle stick green using the tempera paint. Have them paint both sides and then allow the sticks to dry. While waiting for the sticks to dry, begin forming the flower part of the fan. Ask the students to place some glue on the middle of one of the ovals then press the other oval on the first. This should make an "x." When that step is complete ask the students to place some glue in the middle of the "x," then place the circle on the glue. This will make up the head of the flower. Once the green sticks have dried have the students glue the sticks to the backs of the flower. The stick will become the stem of the flower. When this craft has dried your students will have made a flower, which becomes a fan to use on those hot summer days! 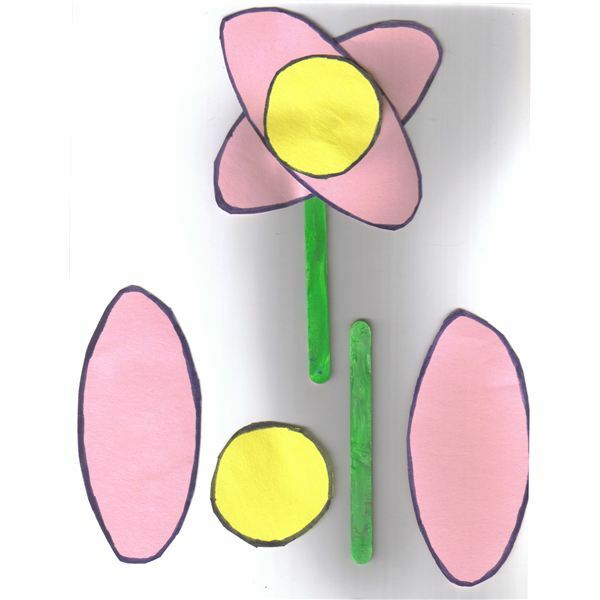 This flower craft could also be used when teaching shapes or flowers to your students. Have your students place their hands in the different color tempera paints and then place their hands on the piece of white paper. 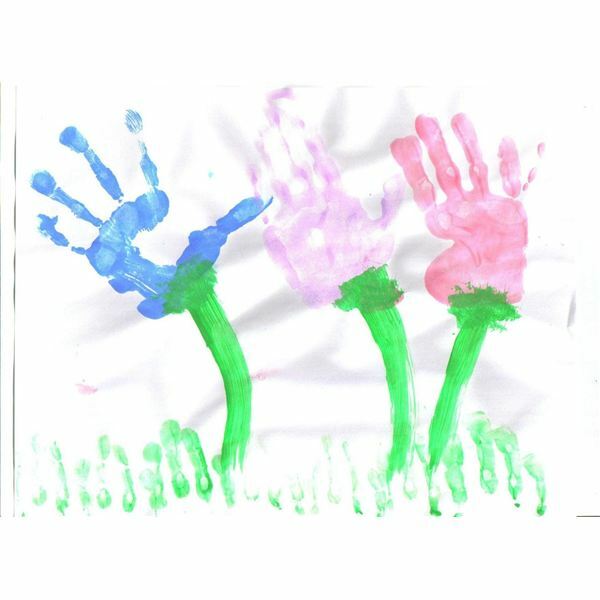 Although you could use fingerpaints, the often globby texture of finger paints can make the handprints blurry. You could have the children place their hands in multiple colors or simply use just one, especially if you are focusing on a specific color that week. Once the handprints have been placed, have the children place their fingers in the green paint and make "grass" and "stems" for the flowers. Your students' tiny fingers make perfect petals on their very own spring flower garden! Do not be scarred with this fun Ff craft! 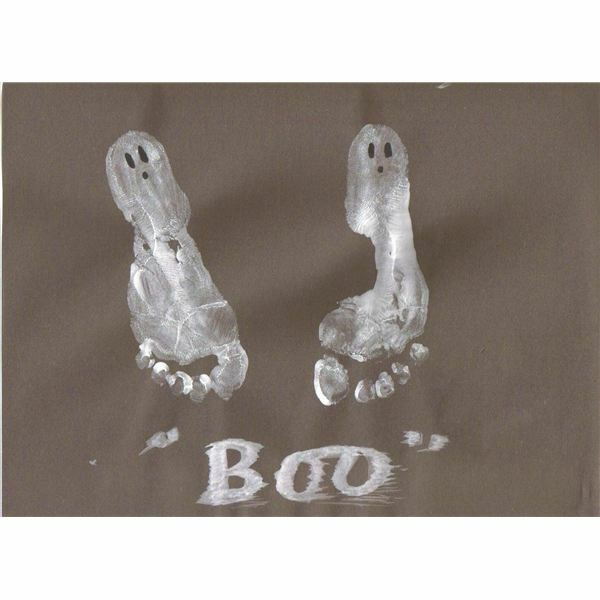 You and your preschoolers will have a blast using their feet to create ghosts. This craft could also be used as a Halloween craft of course! Place the white tempera paint in a shallow object. Ask your students to place their feet, one at a time in the white paint and then step on the paper. Make sure you are standing next to the child to support them and to clean their feet. Once one foot is completed, have them repeat with the second foot. After the paint has dried, turn it upside down and place two eyes and an "o-shaped" mouth on the "ghosts" with black marker. Your students will not be scarred with these frightening feet, but they will have a blast learning the letter Ff! These crafts could be used alone, or as a fun supplement to traditional classroom material. Your students will love learning their alphabet with these preschool crafts for the letter F! Projects are from personal experience.